It’s a good day when I feel like my time was well spent and I can look back and see all that I achieved – in big ways and small. 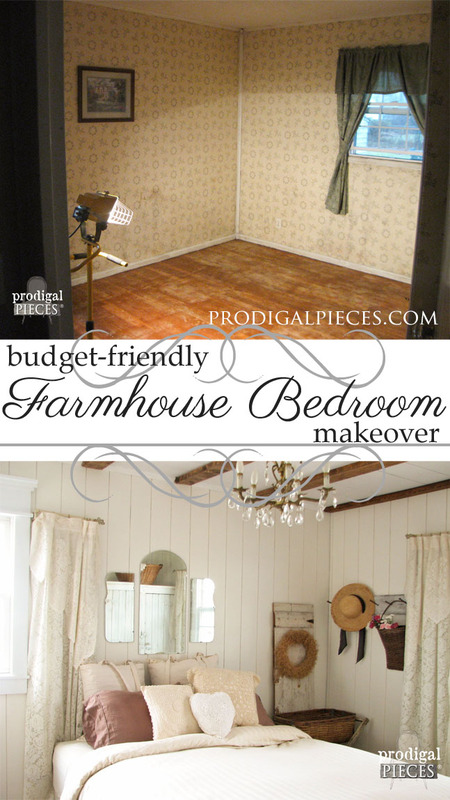 I wasn’t planning on posting but once this week as I am trying to get projects around here done, particularly our kitchen remodel. But, I couldn’t resist the urge when I had this pile of vintage soda crates sitting on my step staring at me. 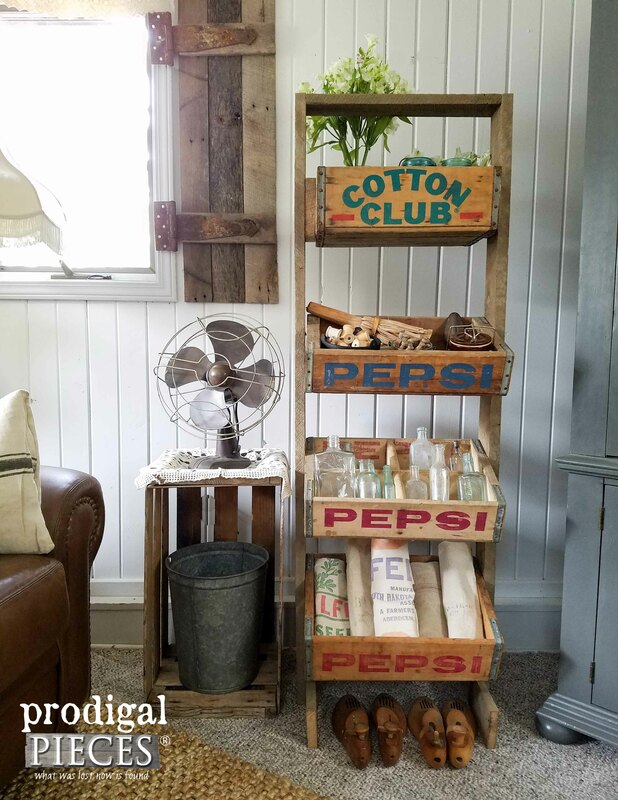 And…when I had the idea to make a soda crate stand, I had to do it! Can you blame me? When an idea hits, you run with it! I knew this would be simple to do and wouldn’t take much of my time. However, let me fill you in on a few things first. It has been 10 looong months of working in our kitchen. My pots and pans are, for the most part, still in boxes. My laundry area has been a wreck as we waited for months for a plumber to show up. When he finally did, there were leaks and issues that set us back. Currently, my husband is working on our countertops, but you need to keep in mind something. He works full-time at his job, plus with me in our business, and then takes every last minute he can to work on our remodel. Which pretty much means he has Saturdays to devote his time on it. So it’s a sloth’s pace we are on and we’ll get it done when we can. Our countertops are not just the slap on some surface stuff. 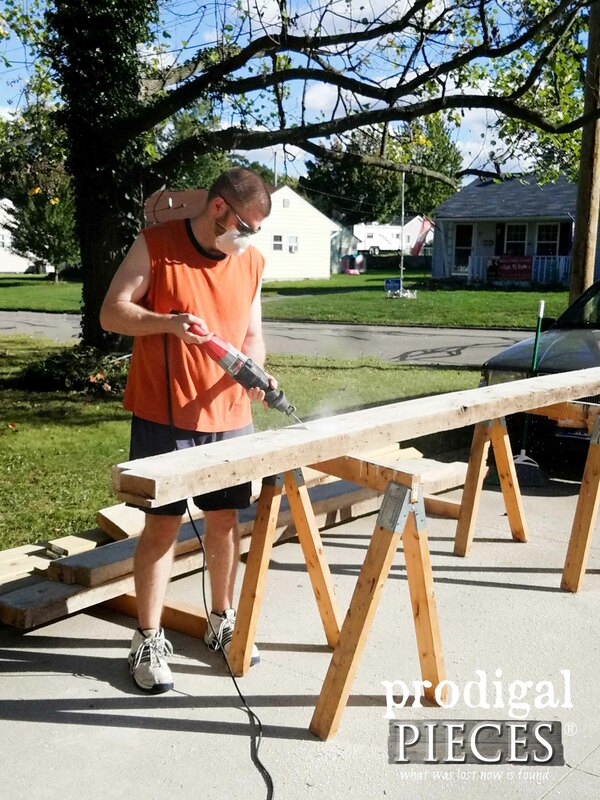 We are building them from 3″ thick hickory barn wood and that requires a whole lotta prep. These things weigh a ton!! 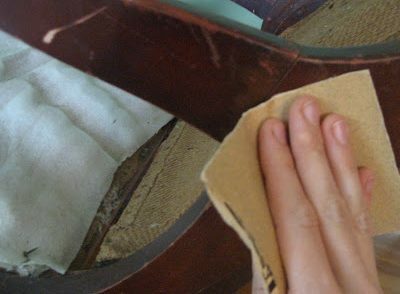 First, he’s been cleaning all the paint off, pulling nails, cutting them to length, etc. Wouldn’t you know when he took two days off work to get these prepped our 12 year old table saw went belly up. ugh. I guess we’ve used it enough it deserved to die. ha! However, we have been waiting on parts and again are set back. 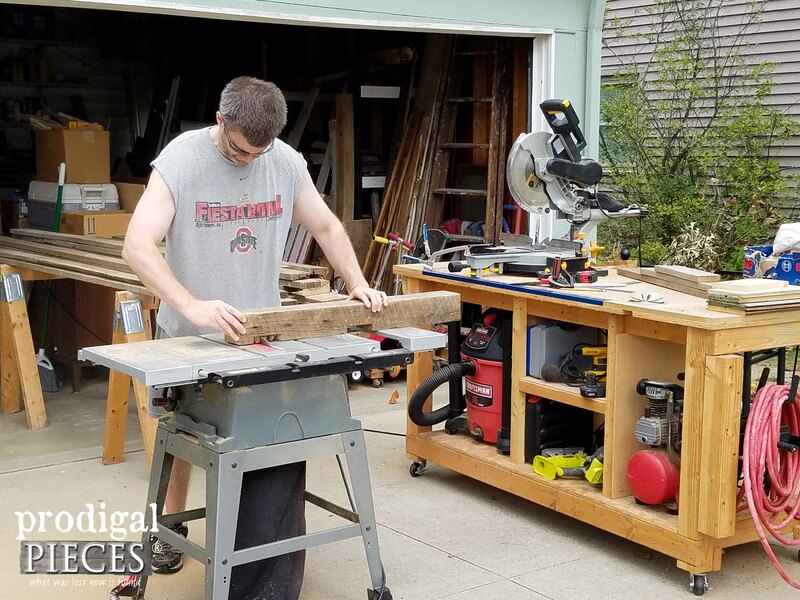 Many have asked about our worktable, and you can find the details on it in this post. Also, we have to be getting our firewood ready for winter, plus our family room roof has been having a slight leak for a few years, only in heavy snows, so we decided to get a new roof. We couldn’t get a roofer to show up for anything! When one finally did, he broke our window. ugh. Another setback. And the beat goes on…so in the meantime, I am doing stuff to keep myself sane and trying to make the most of it. Because in actuality, I am blessed. My family is here, is healthy, we have a home to work on, and we can do it ourselves. Most of all we have a Lord that loves and blesses us. 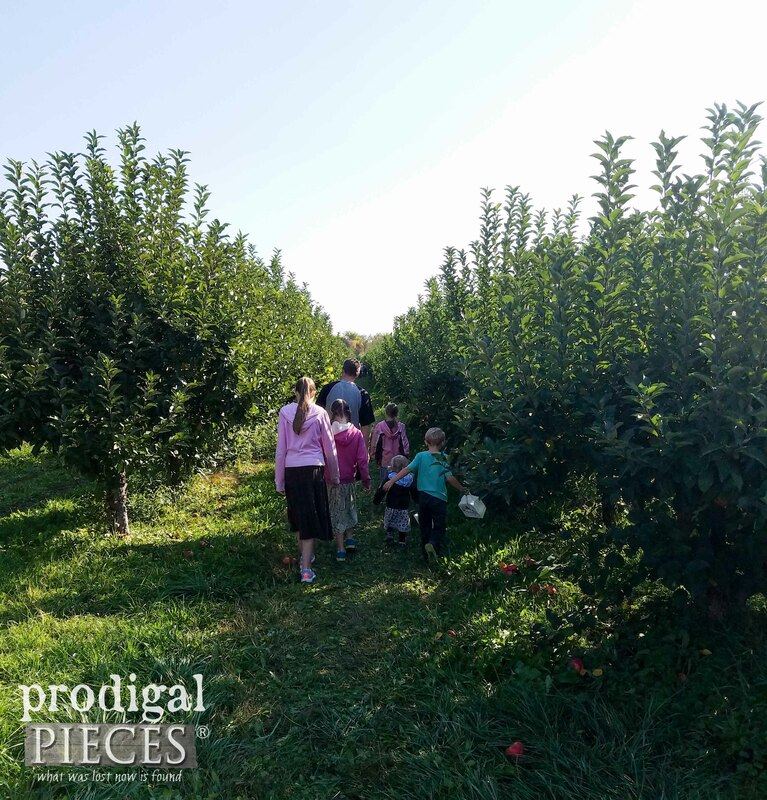 When the saw parts didn’t come in this past week, it gave us an opportunity to go apple picking with our kids this past weekend. We wouldn’t have done it otherwise because we’re chomping at the bit to get the kitchen done before winter. I am thankful the parts didn’t come. So, now that you are updated on our crazy lives, let me get back to those crates. Here they are in a simple frame and make the most funkified soda crate stand this side of the Mississippi. 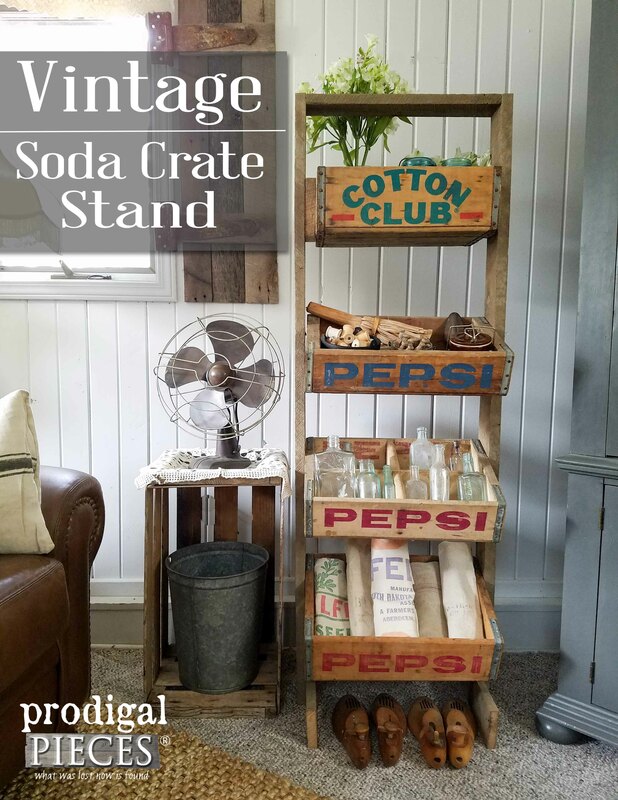 My husband and I worked on this together on this soda crate stand and it was fun! 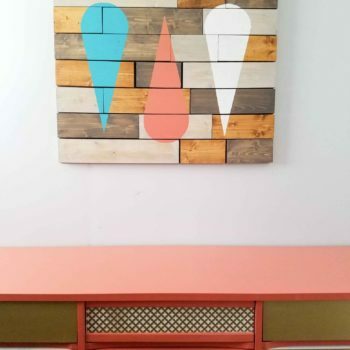 We created the frame from a bit of leftovers of that awesome reclaimed barn wood. 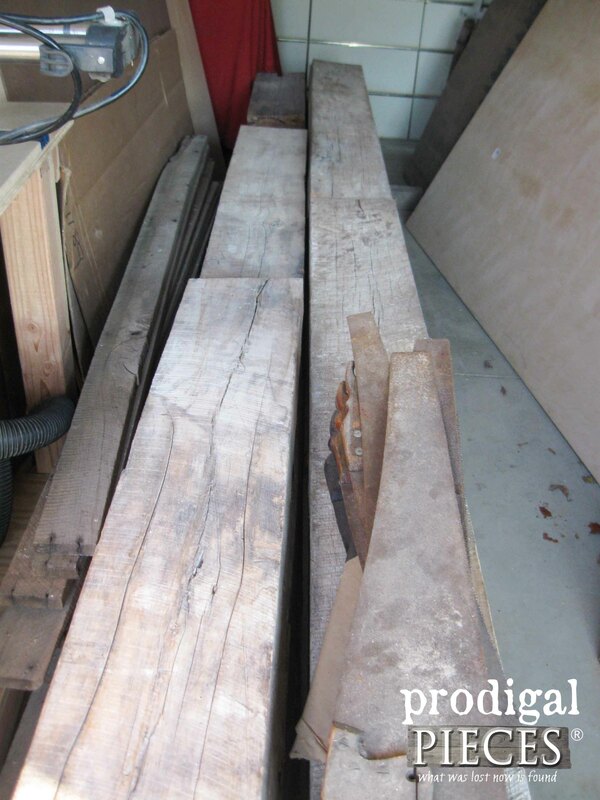 It is oak that is as solid as it gets because it’s from first growth trees cut in the 1800’s. 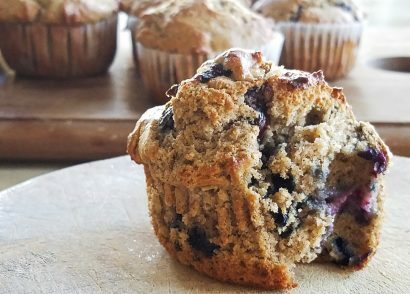 The grain is so tight that you can hardly count them. I wish I could show you up close the saw marks and get to touch a piece of history. Not to mention, how cool are those soda crates? This is totally something I would love to have in a physical shop. 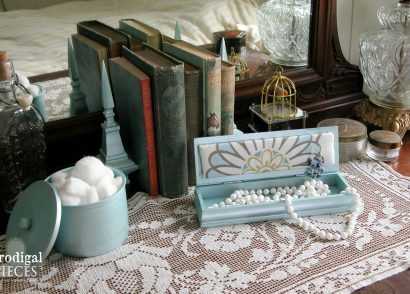 It is holding some of my treasures and would work in most any setting. 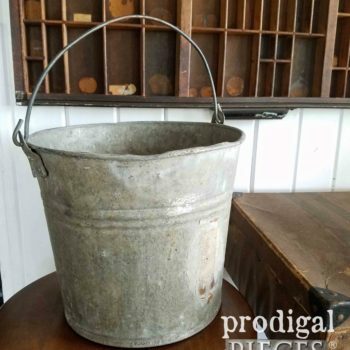 Think flea market or farmers market, holding essentials in a bath, books…so many possibilities! 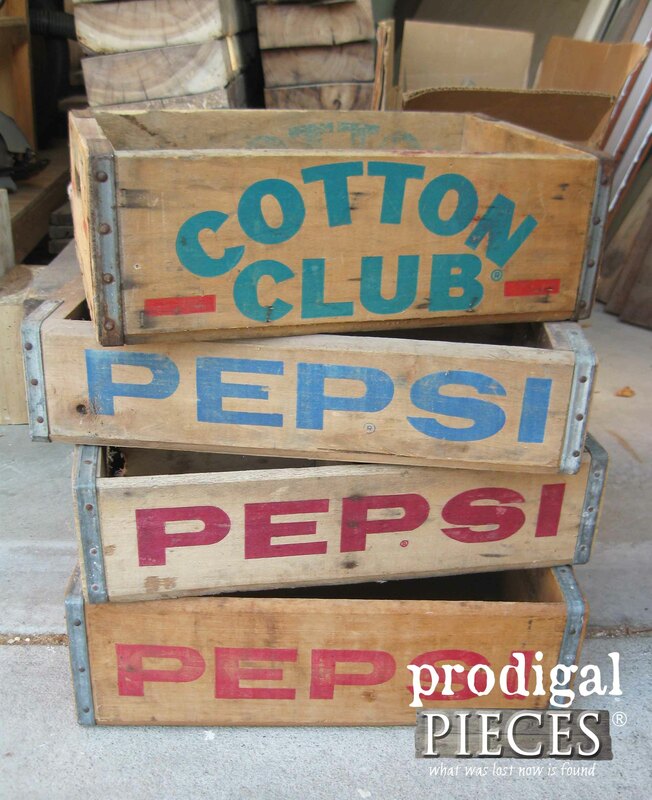 I hope you had fun seeing a soda crate stand come to life and will pin and share to inspire others. 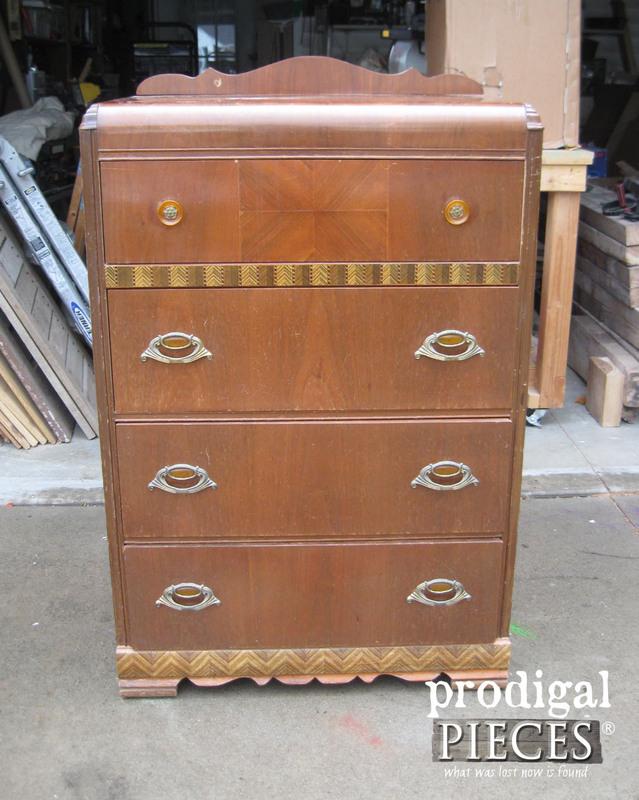 Later on this week, this chest of drawers will be getting a new look. If you want to see how I worked on these Art Deco waterfall pieces in the past, click HERE. I love the soda crate display case. It would be fantastic to have in my booth, teehee. I may have to come up with something similar. I am glad you and the family had a fun day making good memories. That is so important. And finally, I can’ t wait to see what you do to the waterfall chest. Have a wonderful day. Go for it! I wish I had a shop to put it in, but I do love staying home too. 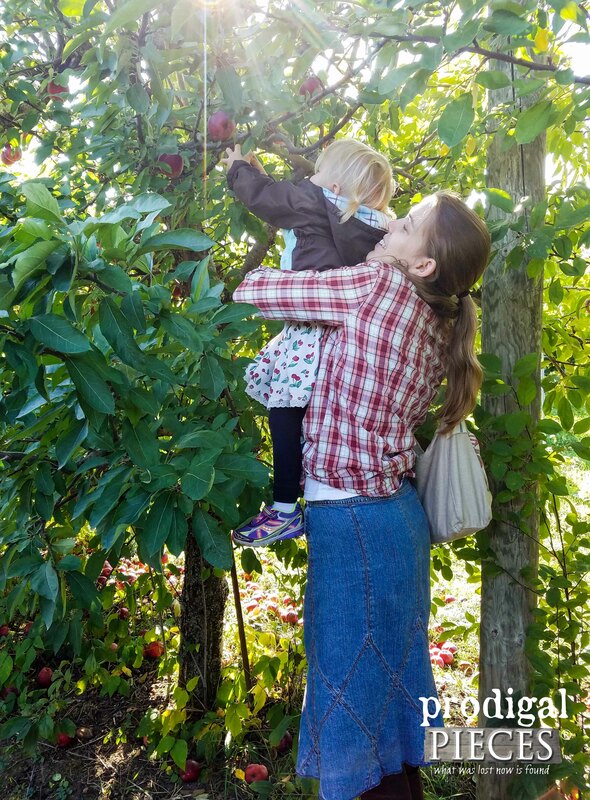 Yes, we need forced breaks like that and this place is only 5 minutes from our home and had a special kid’s day, so it was perfect. I can’t wait to show you the chest. Thanks, Debra! You are truly gifted! 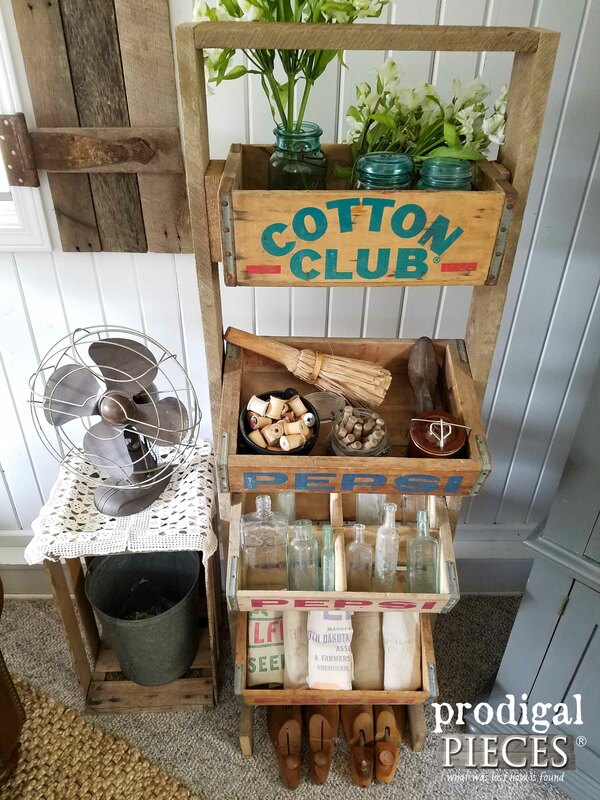 ❤️ the soda crate display and thank you for sharing. You are so sweet to say that. Thank you, Mercia! 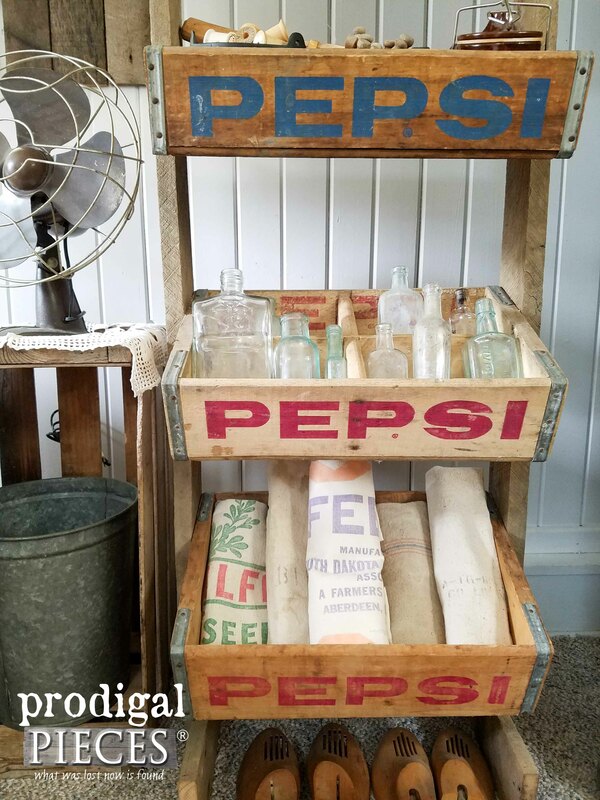 Love the soda crate display! How creative!! I LURV it! Awesome job. 🙂 I always enjoy reading your posts, whether they’re about your family (your little ones are as cute as a bug’s ear!) or a beautiful piece you’ve redone; both are inspirational. You make my sharing even more fun by saying so, Kenda. Thank you so much! 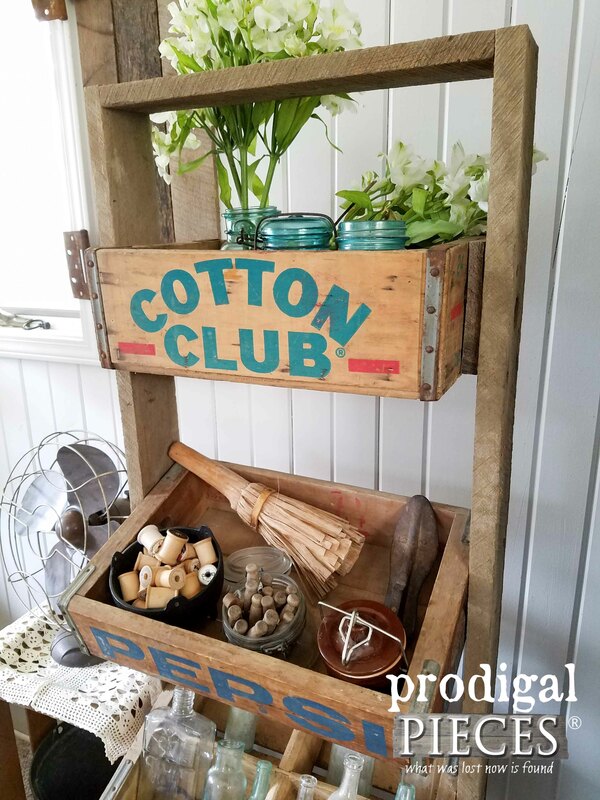 Love what you did with the crates, and all the vintage sewing spools . I have a WalMart bag full of spools! 😀 They have a new use coming soon. Larissa, it will take time but like you said you have your family, your health and everything else will come along. I live in a building which is plagued by earthquakes all the time. And every time we have one I can only say “Thank God we are still standing”. That’s all you can do. You will get there and the results will be glorious! 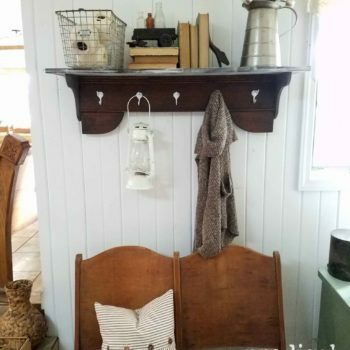 The crate is adorable and yes perfect for a vintage shop. Yes, indeed, Mary. It is an evolving kitchen instead of remodel, but that is what we can do. And I’m thankful! Thanks so much for your support. 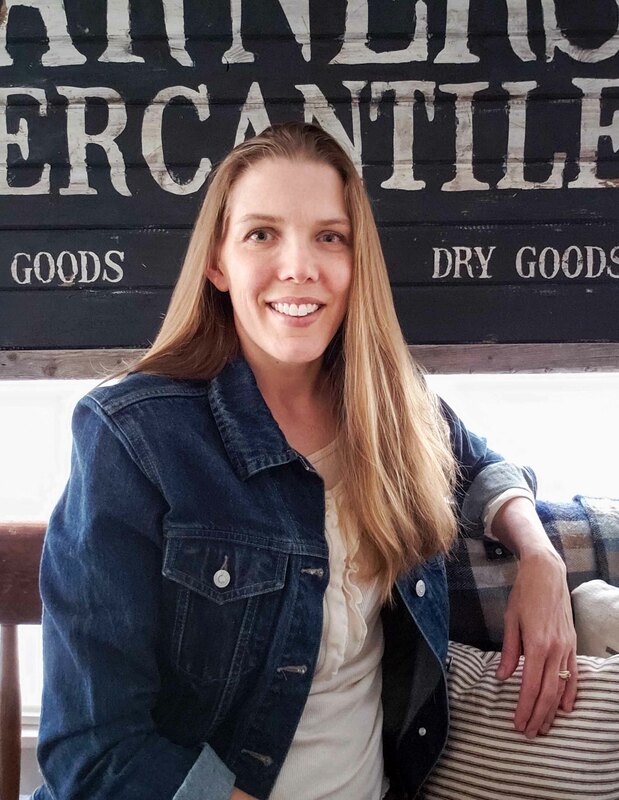 Larissa, you and your hubby are just amazing, the two of you truly are blessed with your beautiful healthy family, and so fortunate and blessed to have the DIY skills you have to remodel and create and so blessed to have the intelligence and energy to do everything you do. 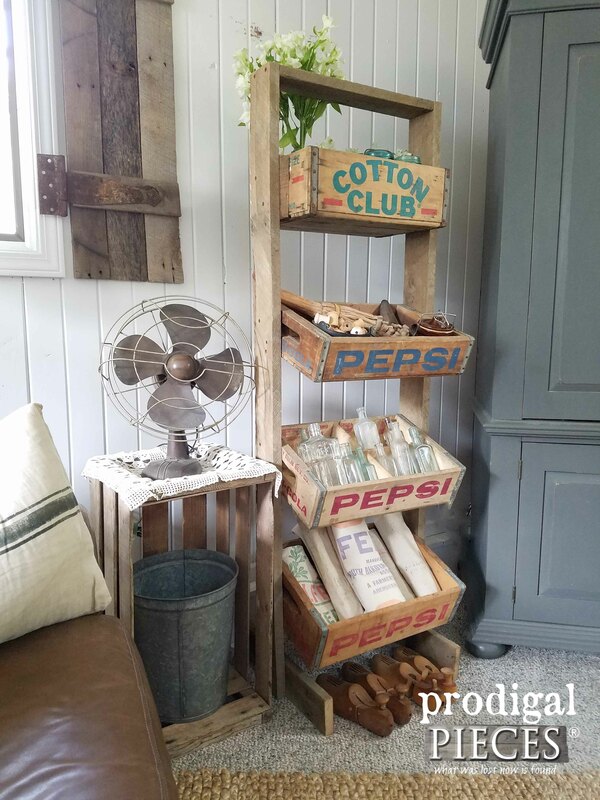 I love, love your soda pop stand, I happen to love primitives and anything made with barnwood and repurposed crates are one of my favs. I wish you would open a shop, Ohio is just down the road from me, of course I don’t know how far north you are, but it would be a nice outing for me and a friend. Maybe someday, I would so buy this stand cuz like I said I do love it. That truly means much, Marie, as many times I want to quit and go back to the normal me because of the negativity out there. I could have 99 positive comments, but that one negative knocks the wind out of my sails (and I’ve had a bun lately) Guess that means I’ve arrived?? You are such a sweetheart. Thank you! Oh replying on a phone leaves so many changed words!!! So sorry but I think you understand what I was thinking! Ugh…I hear ya! We are nearing completion, so I’m trying to hold tight. 😉 Kids are why I want to be done, to be back to norm.